John "Killer" Kane (1907 � 1996) proved his mettle numerous times throughout the Second World War, but it was on August 1, 1943 - above the blackened skies of the Ploesti oil refineries in Romania, that the brass caps of the U.S. Ninth Air Force sat up and truly took notice of his polished skills as a pilot of a B-24 bomber. He was awarded the Congressional Medal of Honor for the admirable mixture of confidence and ability that showed so clearly that day. Carlton Rouh was awarded the M.o.H. 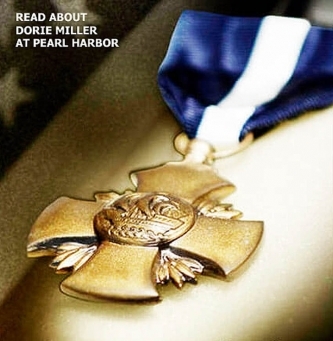 for performing numerous acts of courage on the South Pacific island of Peleliu during the September of 1944; in this article he speaks bluntly about the nature of heroes and the discomfort they experience when being praised in a nation that was so deeply in need for such men. 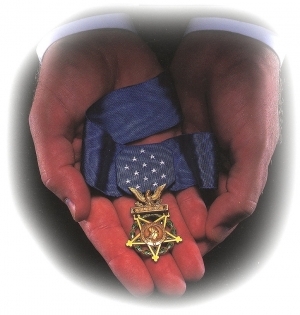 Click here to read about another W.W. II Medal of Honor recipient. 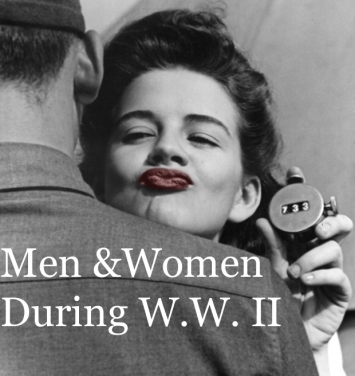 This is a humorous World War II story about the heroics of Captain Charles W. Davis (1917 � 1991), former resident of Guadalcanal, and his experiences with the U.S. Army Command and General Staff School at Fort Leavenworth, Kansas. Audie Murphy (1925 � 1971) was one of the most decorated American combat soldiers of the Second World War. This article appeared on the newsstands just in time to promote To Hell and Back , the Universal Studio movie based on Murphy's 1949 wartime memoir of the same name. Some men fit quite comfortably into the public life of a celebrated hero, Audie Murphy was not one of them. "COURAGE, like everything else, has its kinds of degrees. No one would detract a hair's weight from the bravery of the firing line, but in battle there is the heartening touch of a comrade's shoulder, the excitement of the charge, and the 50-50 chance of coming out alive. All these aids are lacking in those epic instances where men make death a deliberate choice...one example that stands out for sheer drama and sustained fortitude is that of Technician Fifth Grade Robert D. Maxwell, who covered a German hand grenade with his body, smothering the explosion that would have killed every member of his group." Maxwell survived his wounds; seven months later he was awarded the Medal of Honor for his courage. He currently reside in Oregon. "His name is Staff Sergeant Henry E. Erwin of Bessemer, Alabama. He was the radio operator on a B-29, and what he did, we think, was the bravest thing we ever heard of."